IP-address of the server: 92.53.122.43. Domain monolithome.ru, at the time of scan does not use the free service management DNS UANIC. Domain monolithome.ru properly delegated or website is not available! The estimated cost of the website monolithome.ru is $1 498. 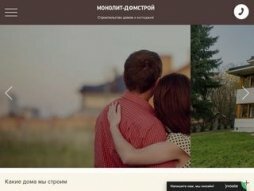 Website monolithome.ru, tentatively, brings its owner an income of $114.5 per month.